Here’s a protip, ladies and gentlemen: if you’re going to propose to your beloved, you need to be creative. Popping out a ring at a restaurant just doesn’t cut it anymore. You need a spectacle that shows unequivocally how deep your love goes, and preferably one that has the potential to go viral. Chances are, however, that someone somewhere has already done what you’re thinking it, making it awfully hard to do something entirely original. 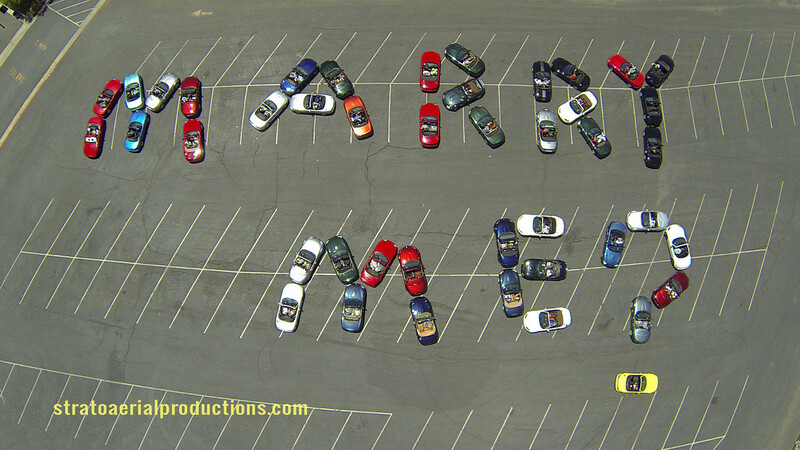 One Miata.net forum user had an idea that has probably never been done before: take 44 Miatas and line them up to spell out “MARRY ME?” in a parking lot. Colin, who goes by the handle “miatamaaan,” got the idea to use one of his business’ drones to capture the image of 44 Miatas arranged outside of the Lake Elsinore High School baseball field in Elsinore Valley, CA on June 8. His future fiancé, Caitlin, would be watching the drone’s video feed nearby and, hopefully, agreeing to be his wife after seeing a whole bunch of roadsters spelling out a proposal. Given that the 2015 Mazda MX-5 is on the way, wouldn’t it make a lovely wedding gift if Mazda opted to hook Colin and Caitlin up with a brand-new ride? And if Colin and Caitlin are planning on having children someday, will they then upgrade to a CX-5? Congratulations to the happy couple, and to the owners of the 44 Miatas for being a part of such an awesome gesture. If you’d like to get them a wedding gift, they’re likely registered at a local Mazda dealership. 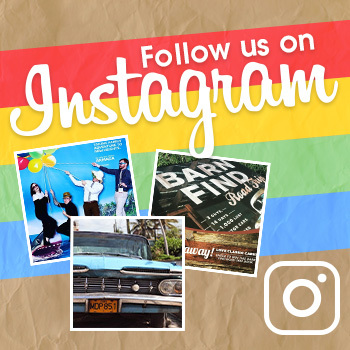 We hear all-weather floor mats make great matrimonial gifts!